But don’t freak out. No babies were harmed in the making of these pics. It’s just a prankster dad flexing his Photoshop muscles – for the greater good! "Let me fillet that for you, Dad?" 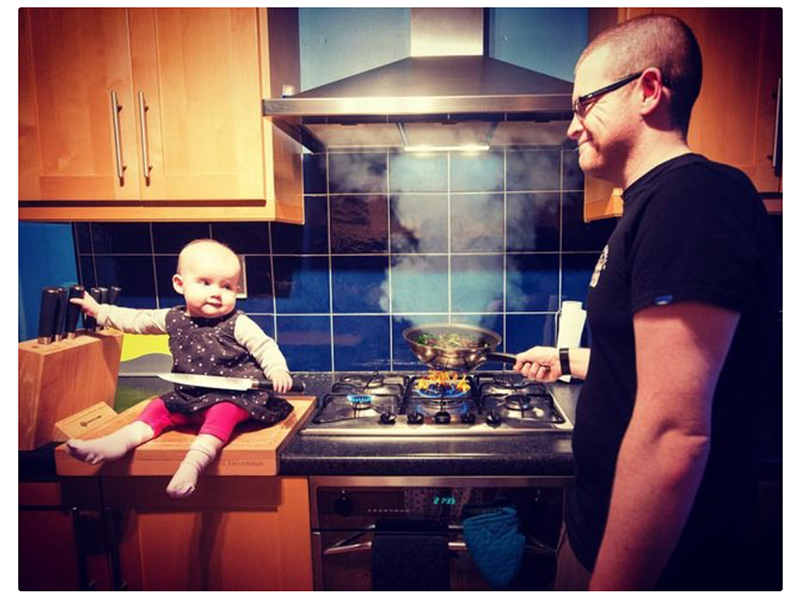 Irish designer and dad Stephen created this series of "marginally dangerous" images to tease his family and friends and prompt chatter about his daughter's rare immune disorder - hemophagocytic lymphohistiocytosis (HLH) - and its treatment. Hannah spent 6 months of her first year in hospital, receiving chemotherapy and a bone marrow transplant - the only possible cure.